Saudi Arabia is reported to have cancelled its plans to sell shares in state oil giant Aramco, which had been billed as the largest flotation ever. The group of financial advisers working on a plan to sell 5% of the company domestically and internationally has been disbanded, Reuters reports. The wire service quoted a source suggesting the decision was taken some time ago but is not being announced. Neither Saudi Aramco nor the Saudi Royal Court has commented on the story. 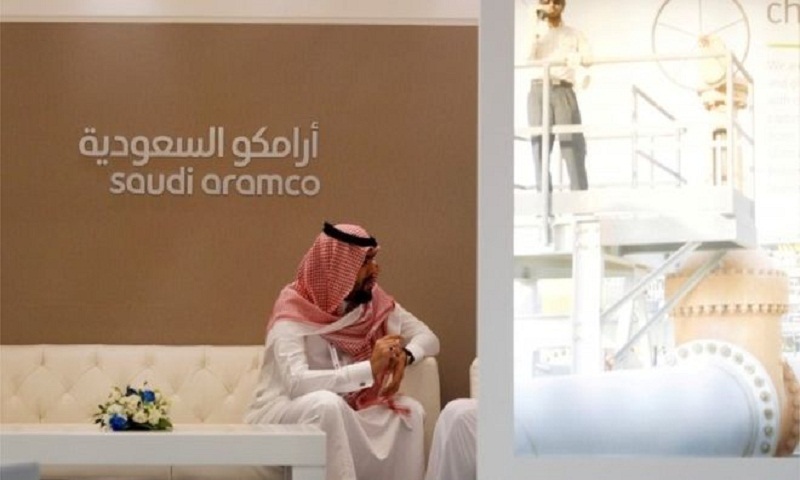 At the time he predicted the sale would value Aramco at around $2 trillion (£1.55 tn). The plan was to float shares on both the local stock market in Riyadh, and one of the world's leading international financial centres. Saudi Aramco ranks as the world's largest oil and gas business. Forbes Magazine estimates it generates $1bn a day in revenues. Its businesses cover management of the world's biggest oil fields as well as extensive refining and chemicals operations. With stakes this high, London, Hong Kong and New York competed fiercely to host the initial public offering (IPO). Donald Trump tweeted last year: : "Would very much appreciate Saudi Arabia doing their IPO of Aramco with the New York Stock Exchange. Important to the United States!" Reuters said it had spoken to four senior industry sources about the plans being scrapped. Meanwhile there have been suggestions that some members of the Saudi royal family are concerned that a listing in New York may entail legal risks, citing US terrorism legislation that would permit US citizens to sue Saudi Arabia. Some observers have also criticised the $2tn predicted valuation for Aramco as unrealistic, which may have made it difficult to proceed with the flotation.